Mortice Lock- for repair work. 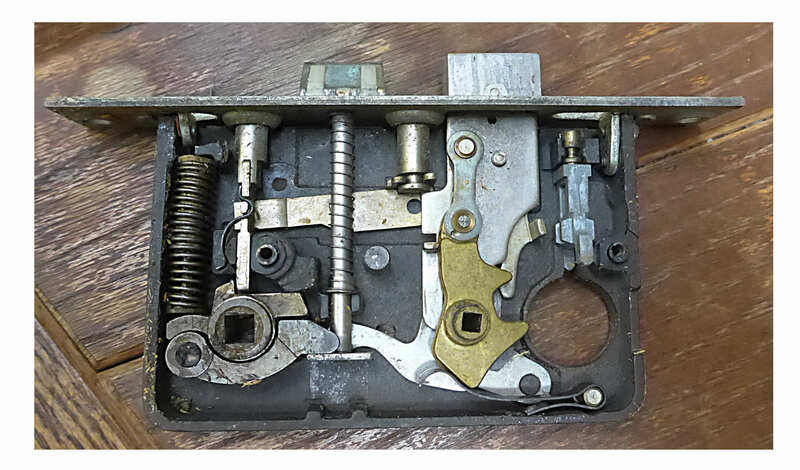 If you are attempting a repair of a Sargent Model 81 mortice lock, this page is for you. It shows you what the insides should look like! 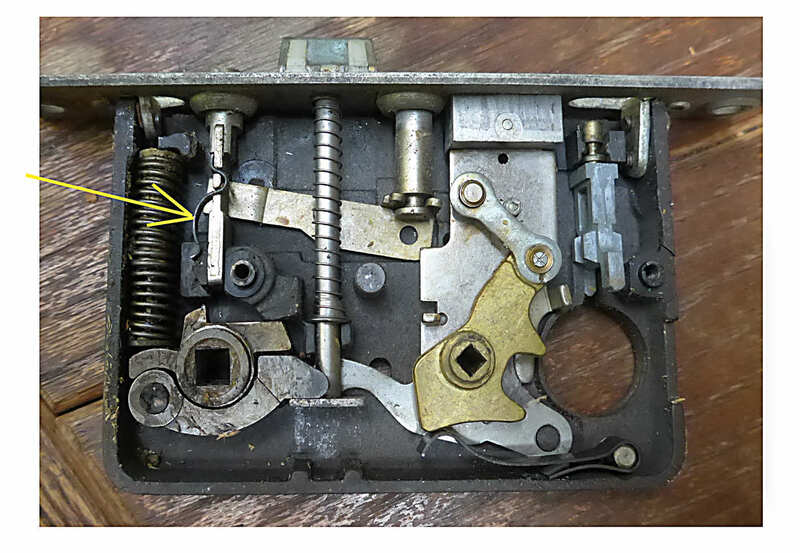 Beware the little leaf spring I've marked with the yellow arrow... it pops off and hides in the "guts" of the lock... if it hasn't fallen, un-noticed, to the floor. But if it were easy, where would the fun be? Here we see the bolt withdrawn. And here we see the bolt extended. I hope you enjoyed the page... or at least found useful! If you found this useful, please mention in fora, give it a Facebook "like", Google "Plus", or whatever. I've almost given up writing these pages, because it seems they are seldom read, and of course not every reader will use them... so... is there any point? If you want more of this stuff, help! ?